A successful travelling experience can be summed up like this: cheap transport, comfortable hotel, delicious food, interesting venues, beautiful pictures, new friends. Does it sound impossible? Maybe, if you do not plan some of it in advance. Taking into consideration all options and criteria such as price, availability and location, you can choose the best of the best. When it comes to London, one of the most affordable airports is Luton Airport. It provides airline companies with low cost tickets for a variety of continents, countries and destinations. If you check its location in the United Kingdom, you will find out that it is situated at a somewhat greater distance from Central London. Do not let this fact discourage you, as there are several means of transport that can take you to any district in London or to another airport, for a light connection. In case you have only a couple of days to spend in London, this wonderful capital city, and then simply hop on in another plane, you can choose an accommodation that is located nearby to your second airport. 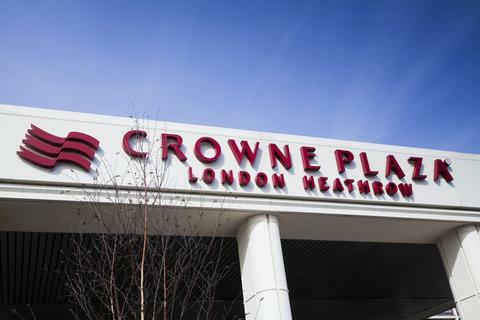 For example, if you need to eventually arrive at Heathrow Airport, you can stay at Crowne Plaza London – Heathrow. Thus, you are close to the main touristic objectives while staying at an elegant hotel. The complementary restaurants, sauna, lounges and other facilities can only make your holiday better. In order to get a Luton to Crowne Plaza London – Heathrow Transfer by rail, you have four main options. The first one would be to take the bus from Luton Airport Bus Station (every 10 minutes), then the train from Luton (every 30 minutes) via King’s Cross St. Pancras (every 10 minutes) and London Paddington (every 15 minutes), followed by another bus from Heathrow Central Bus Station (every 15 minutes) and ending with a 9 minute walk. This journey might take about 1 hour and 34 minutes. The second option involves a bus from Airport Bus Station (line 757 – every 20 minutes), followed by a Tube from Finchley Road Underground Station (every 10 minutes) and another bus from Uxbridge High Street (line 222 – every 10 minutes), finally enjoying a 10 minute walk. This whole journey lasts about 2 hours and 2 minutes. Another option would be to take the bus from Airport Bus Station (line 888 – every 10 minutes), a train from Luton Airport Parkway (every 10 minutes), a second bus from St Albans City Railway Station (line 724 – every 60 minutes) via Uxbridge High Street ( line 222 – every 10 minutes) and a 10 minute walk. This route takes about 2 hours and 8 minutes. The last option is more simple and involves a bus from Airport Bus Station line 707 – one a day) via Heathrow Central Bus Station (every 15 minutes) and a 9 minute walk. This journey lasts about 1 hour and 26 minutes. A Luton to Crowne Plaza London – Heathrow Transfer by car can be done by taking the M1 motorway and then the M25 one. Luton Airport is at a 33.7 miles distance from Crowne Plaza London – Heathrow. This journey will take about 36 minutes, without including traffic. A Luton to Crowne Plaza London – Heathrow Transfer with 247 Airport Transfer is going to take about 53 minutes, including rush hour traffic. The price for a Luton to Crowne Plaza London – Heathrow Transfer starts from 54 GBP.